Located in Rizal, just a few kilometers from Manila, the Angono Caves or Angono Petroglyphs is the oldest known work of art in the country. Here, you will find more than a hundred animal and human figures engraved on the rock wall. These inscriptions, which are believed to be carved during the late Neolithic period, depict stylized figures, but there are other figures that were made indistinguishable by erosion. According to experts, these engravings are mostly symbolic representations of sympathetic magic and healing. 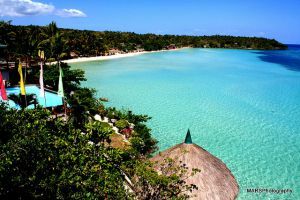 The National Museum of the Philippines has declared this site a National Cultural Treasure in 1973, which is then included in the World Inventory of Rock Art list in 1985. The caves are also part of the country’s tentative list of UNESCO World Heritage Sites and the World Monuments Watch and World Monuments Funds historic sites. 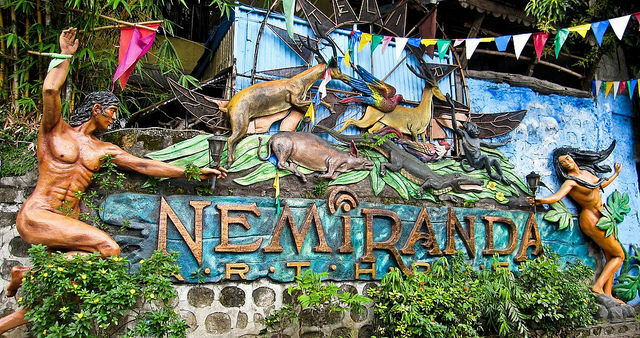 This museum is most visited by local and foreign tourists, who want to learn about the famous painter Nemesio “Nemi” R. Miranda Jr. (Nemiranda), his masterpieces and related traditional and religious practices. As the name suggests, the arthouse was designed and constructed by Nemiranda himself, using local materials, such as sawali, bamboo and old recycled wood. Its whole concept is called the “house of legends”, which is a magnificent work by Nemiranda himself. Of course, the gallery showcases Nemiranda and his 5 children namely. Attached to the arthouse and museum is also the Nemiranda family’s residence, which also attracts the interest of tourists due to its turn-of-the-century wood design and components that also showcase some of Nemiranda’s early works in the 1960s and 1970s. The Blanco Family Museum memorializes the prominent painter Jose “Pitok” V. Blanco and his family, accommodating an anthology of their paintings and some memorabilia through the years. During your visit of this place, you will see that the artworks in the gallery are arranged according to their place in the family. Also, you will see that the paintings are set accordingly to when they were worked on. Upon entering this museum’s proper art gallery, you will first see the works of Glenn, Jose’s eldest child, who is amazing to know that he started painting at a very early age. One of his masterpieces is the “Anak ng Magkakaingin”, which he painted when he was 21 years old. The Blanco family had their first painting exhibition in 1978 at the National Museum, carrying the inverted fish, locally known as “bunggan”, as their insignia, which eventually became their official logo. The decision to have such insignia was inspired by their great grandfather who was a fisherman. One day, he was seen by his friends sleeping in a small boat, with his tummy the only part of his body visible to them. His figure resembled a bloated dead fish, thus the pun “bunggan”. 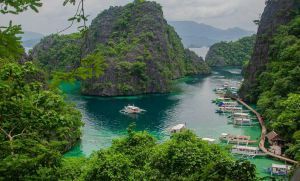 Now, if you want to explore the art and culture of Manila, these three places are the best way to start it!